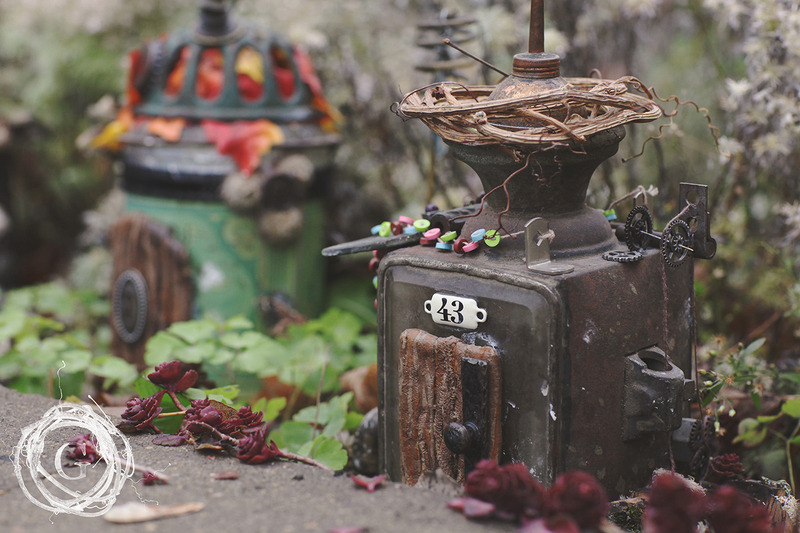 We explored many antique stores, Axe Man shops, garage sales, and flea markets to find the perfect pieces to create our fairy houses. 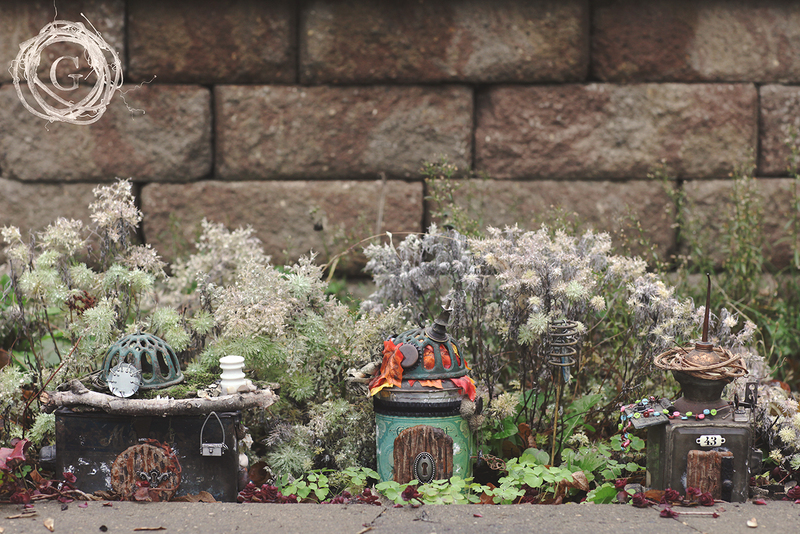 Last year in the spring, the kids and I went to a garden store that had a huge fairy village on display. We had so much fun looking at all the details and miniatures, but pretty much balked at the price tags. So we channeled our inner Tinker Bell and went on the hunt for Lost Things. A fun exercise was to think about the different things fairies might need. A door, a system for hauling water, a chimney, something shiny of course…and then to find bits and bobs that can pass as those pieces. We spent over six months slowly collecting. A 100 year old carriage light, a coffee can from the 40s, and a small ammunition box became the base for the houses. Items like a handmade grapevine wreath, a tiny oil can, a broken hanging twine holder, music box pieces, and a beer stein cap all were bought on the cheap. A hand forged broken metal piece in a “for free” junk pile at an antique store made a perfect door handle. 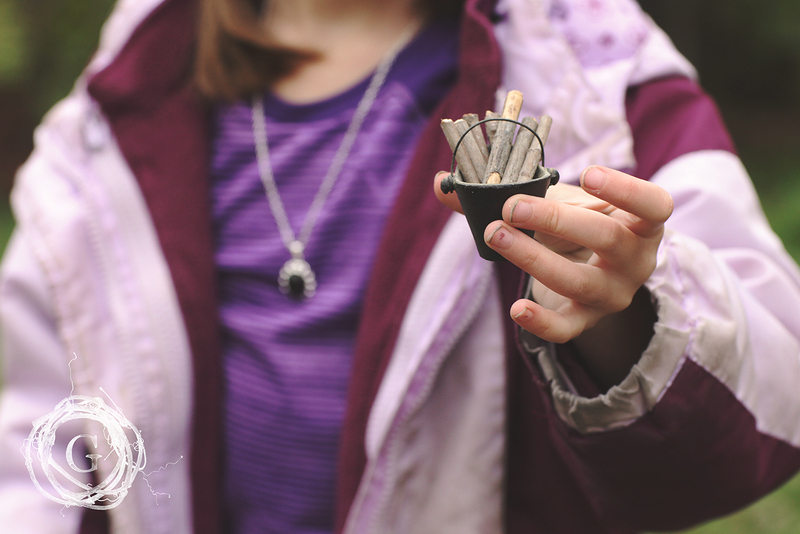 We even found an iron doll house coal hod at a flea market for $2…perfect for holding fairy firewood. We then foraged. Over many trips we collected little rocks, interesting sticks covered in lichen, and acorns to use as building materials. The kids each had a bucket and we’d take an hour every once and a while to go walk in the woods. Then we’d bring back what we’d gathered and set them outside for a couple days (just in case little critters hitch hiked back with us) and then store them for when it was time to make the houses. We also purchased a few things from the scrapbooking and jewelry making aisles of a local craft store. There we found gears, charms, key holes, different strings and twine, and a few more decorative rocks and pebbles. Using clay, we made the doors and a well, and then painted them. My son sewed a garland of teeny buttons together to add to his house for decoration, the kids really got into their fairy’s character. I think my favorite detail is the chimney on my daughter’s house, though my fingers were super glued together way too many times in the process! To finish off our houses, we added the kids’ collection of fairy stones they have been given over the years by their favorite fairy, Twig. She is at the Minnesota Renaissance Festival every year and also travels around the country…we highly recommend visiting her! 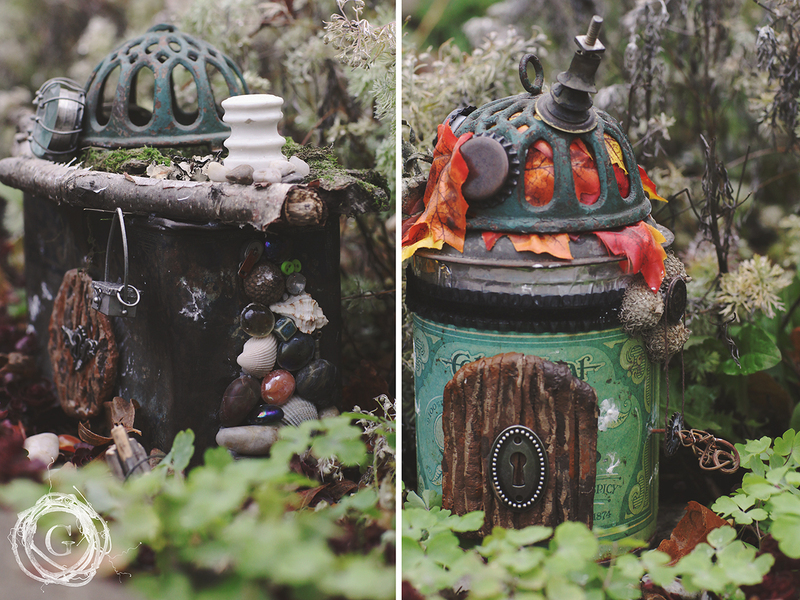 By using glue, string, antiques, found objects, clay, natural elements, and a few craft store purchases, each child was able to create a unique and lovely fairy house. Our little village is nestled right in the middle of our flower garden. We just love it!